Grabouw champ on the roads, at home and work seeks sponsorship. 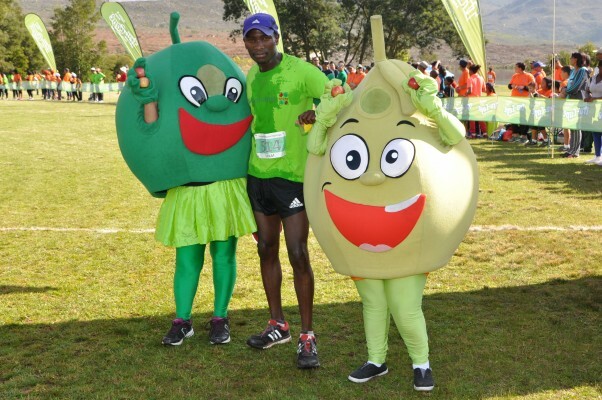 Tru-Cape Packhouse Challenge race winner Akhona Mdaka (23) not only wins at running marathons but also at work and as an inspirational hero in his home community of Pineview, Grabouw too. Winning the 2016 Tru-Cape Packhouse Challenge for team Two-a-Day where he works in the box stores was, he says, easy: “I ran the Tru-Cape Packhouse Challenge as a training run”, he says explaining that his win was a bonus to getting the training done. Mdaka has his sights set on a prize he narrowly missed in 2016 year but is preparing himself for 2018. “I didn’t qualify to join the world team that competed in Zambia but I’m now training to compete in EGA Athletic Club colours for the next big Cross Country race. Mdaka is trained by the well known athletics figure Basil Jantjies who has been involved in his life since 2012. “I have watched how Akhona has grown in his career from an ordinary runner to a more competitive runner. Despite his circumstances, he excels as a result of his commitment, dedication, discipline and determination to make a success of his life. Over my more than 16 years of coaching I have never seen such a committed and visionary person who does not allow any shortcomings to hold them back from achieving their goals,” he says. According to Jantjies, some of Mdaka’s achievements include representing Boland Athletics at National 21km championships (2013 - 2016), and representing Boland Athletics at SA Cross Country championships (2015-2016). In 2015 he was the Boland 21km champion and in the same year was Boland u/23 and senior 21km champion (5000m). With a current personal best of 10km 30.10 (2016), 21km 67.45 his goal of competing on the global stage is nearer than ever. Jantjies adds how much he and Mdaka appreciate the support of Endurocad, the SA Endurance Academy, under the leadership of Olympic medalist Elana Meyer and her team. 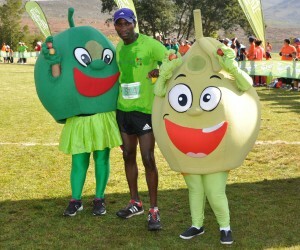 Mdaka always has members of his community supporting his races. “I’m very grateful for the many people who support me at races and also those that come to visit me in Pineview to see my trophies - it helps me to know that they also rely on me to keep up my fitness. Akhona says he is hoping for sponsorships and other assistance to allow him to reach his goals. “I’m looking a Stopwatch, running /training gear like a pair of training and racing shoes, a tog bag, training shorts, shirts a tracksuit and support with supplements. Please contact me at (083) 8658083 if you can assist me.” he ends.